About us - sense for smile - for you and us! A dream has come true. 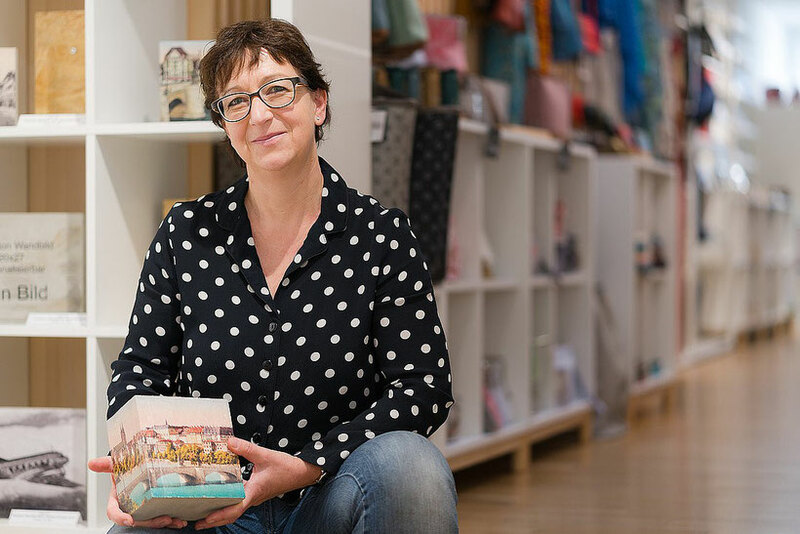 Susi Fischer has dreamed of her own shop for a long time and has now fulfilled it by 1 October 2018. Susi has many years of retail experience in various industries and over the years has lost her heart to meaningful products with history. The products and their suppliers are carefully selected and visited personally whenever possible. Because only what you have seen yourself, what you burn for yourself, can you sell properly. Our ambition is to make our own contribution to a better world. We are convinced that more and more differences are needed and this includes individual and unique products, which are manufactured with a lot of energy and conviction by mostly small companies, social institutions or private individuals. We look for these products in the market for you and get to know the people behind them in order to understand exactly why and how they produce a product. This is the image we give you with product, so you have a unique combination of product and history. With our designer Pop Up Table, we offer Swiss artists and designers the opportunity to exhibit their products at one of the best addresses in Basel. It is important to us that they can present their uniqueness and offer you an experience and variety, which we ring in every first Thursday of the month with an aperitif. So you have the possibility to experience the products and their history directly from the producers and to experience the philosophy of sense for smile directly. Come and be inspired - for you and us!